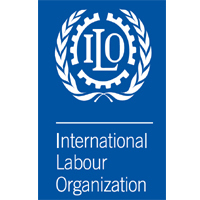 The ILO Country office Dar es Salaam currently seeks to recruit a motivated and experienced National Programme Coordinator - Economic Growth and Employment, with a demonstrated and proved track record. viii. Perform other tasks related to project objectives as requested by the ILO Country Office Director. Education - Advanced university degree in Economics, Market System Analysis, or Social Science, Inter-national Studies or other relevant field. Experience - Candidate should have at least five years' professional and hands-on experience, at the national or international level, in design, monitoring and evaluation of multi-stakeholder projects in the areas of youth or women entrepreneurship, enterprise development and cooperative development. Knowl-edge about the Standard Operating Procedures (SOPs) for Delivering as One (DaO) and technical expertise in value chain development would be an advantage. Experience in the usage of computers and office software packages, experience in handling of web-based management systems is also an advantage. Languages - Excellent command of English and Swahili. Competencies -Ability to perform a variety of conceptual analyses required for formulation, administration and evaluation of projects; Good knowledge of programme and budget, project formulation, administration and evaluation techniques and practices; Demonstrated ability to consult, negotiate and work with multiple partners, including government, social partners and UN agencies and to foster cooperation and effective networks; Demonstrated ability to organise and facilitate meetings and workshops, good public speaking skills; Demonstrated ability to work in a multicultural team, good interpersonal skills; Demonstrated ability in gender mainstreaming will be an added advantage; and Good command of computer application skills. All applications should be sent online through email: kazi@ilo.org with the subject "Application for National Programme Coordinator - Economic Growth and Employment" before 16 March 2018.